The town hall occupies the lower portion of the property where the Burhans mansion was located. The first officers of the town consisted of the following persons: supervisor, James, L. Thurman; town clerk, Myron Beach; assessors, Dr. Harmon Hoffman, John McMillen and Joseph Norton; commissioners of highways, Dr. Thomas Pattison, Whitman Cole and Albro Tripp; overseers of the poor, Dr. Harman Hoffman and Dr. Thomas Pattison; constable and collector, Samuel Stackhouse; fence viewers, Myron Beach and Dr. Thomas Pattison; poundmaster, William Hough. There were twenty-two pathmasters. Dr. Harmon Hoffman, a member of the Duchess County Militia 6th Regiment in the Revolutionary War, was one of the first of three assessors in 1813. In addition, he was one of two overseers of the poor in 1813 and Town Supervisor, 1814-1815. Dr. Hoffman was one of the physicians who helped organize the Warren County Medical Society. He built and operated a gristmill on the Schroon and sold it to Dudley Farlin in 1816, after an explosion of powder had destroyed the store he kept near the mill. He moved to Saratoga about 1820 and remained there until his death. Dudley Farlin. - Born in Norwich, Connecticut in 1777, he arrived in Warrensburgh shortly after 1813. An experienced carpenter, he rebuilt sawmills previously owned by Harmon Hoffman, which he sold to Nelson Warren in 1834 (later owned by B. P. Burhans, then A. C. Emerson Company.). He and his wife, Sarah, had six children, Cynthia Beach, Myron B., James W., Frederick A., Alfred C. and Charles D.. He was a Town Supervisor from 1818 to 1820 and 1827 to 1828. He served as Warren County sheriff in 1821, 1822 and again in 1828. In 1824 he was a member of the State Assembly. He was elected as a Jacksonian to the 24th U.S. Congress, serving from March 4, 1835 to March 3, 1837. Returning home, he died on Sept. 26, 1837. Duncan McDonald was District #17 Pathmaster in 1813 and Town Supervisor from 1821-1823. McDonald worked a farm near David Millington’s (about three miles west of Warrensburg, on the Hudson River). Richardson Thurman (1755-1806) settled in Thurman in 1783. A nephew of John Thurman (the original patentee and owner of nearly all the lands known as "Hyde Township"), he acted as agent in the sale of land for his uncle. He was town supervisor in 1824. Married to Catherine Low, they had three sons, Richardson (Jr.), John, James, and three daughters, Susannah, Jennie and Elizabeth. "Susan" married Dr. MacLaren, an early settler in Warrensburgh. Elizabeth married Dr. Thomas Pattison, who subsequently settled and practiced in Warrensburgh. James became Warrensburgh's first supervisor and a major property owner in town. 1829, 1831-34 and 1839 he served as town supervisor and was Warren County sheriff in 1834. He was elected as United States Congress-man from 1845 to 1847. A charter member of Warrensburgh Masonic Lodge No. 425, Russell was also on the original board of directors for the First National Bank of Glens Falls. In 1850 he was appointed to the building committee of the Hudson River Boom Building Agreement, charged with the task of constructing a boom, or log chain, across the Hudson River above Glens Falls to capture all the logs floated down the river from the north. This was an enormous undertaking, since the boom was in continuous use into the 1950s. Thomas S. Gray, a partner with Benjamin P. Burhans in the tannery business in Warrensburgh from 1836 until 1860, also owned the Horicon Tannery during the 1860s. He was instrumental in building plank roads to Chestertown and Caldwell (Lake George). A Town Supervisor elected in 1841, he became a New York State Assemblyman in 1856 and 1862. 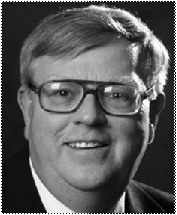 He was a trustee at the Warrensburgh Academy and served on the board of directors of the Glens Falls National Bank. Asa Crandall, born in 1794, became Town Supervisor in 1842. He was one of three men from Warrensburgh who were officers of the Masonic Clinton Lodge. The other two were Pelatiah Richards and Joseph Russell. Upon the dissolution of the Clinton Lodge and the surrender of its charter, they remained in possession of its gavel and record book. The three were instrumental in forming Warrensburgh Masonic Lodge No. 425 in 1857. Asa would serve as treasurer of the new lodge. Abial Burdick, born in 1804 in Easton (Washington County), was a four-time supervisor for the town of Warrensburg. He started one of the first carding mills in the town, probably in operation before 1870. His first wife was Catherine McLaren (1797-?) and they had a daughter Mary Elizabeth, born in 1836. Mary Elizabeth married Thomas Cunningham in 1858. Abial's second wife was Julia (?) (1822-1891). In 1884, Mr. Burdick and grandson Frank Cunningham built an addition to the Warrensburgh Woolen Mill. They were the first recorded owners on file of that mill. Grandson Harry continued running the carding mill after his grandfather died in 1890. Judge Joseph W. Woodward, son of Isaac Woodward, and grandson of Josiah Woodward, was born on September 20, 1804 in Warrensburgh. In early life he was a merchant and manufacturer and shipper of lumber. In 1822 he bought a sawmill from James L. Thurman, about 4 miles north of Warrensburg on a little tributary of the Schroon. He was instrumental in building plank roads to Chester and Caldwell (Lake George). On March 5, 1828, he married Julia Gunn, daughter of Lucius Gunn. They had three children, Abigail J., Julia Eleanor, and Leander. Julia died in 1832. In 1836, he married Duncan McDonald's daughter, Charlotte McDonald, who died in 1847. He then married Miss Jane Judd in 1857. After Jane's death in 1859, Joseph married Charlotte Kennedy in 1861. Joseph was a member of the Assembly in 1872, side judge for five years and supervisor for one term. At one time Judge Woodward owned 30,000 acres of forest and farm lands, in conjunction with B. P. Burhans and others. By 1885 the children of Joseph still living were Leander, Lemuel, Abigail and Minerva. Abigail married Albert C. Emerson. Minerva married Frederick W. King. Thomas Cunningham (1825-1907) was born on a farm in Essex County, NY. He attended Troy Conference Academy and apprenticed with an Elizabethtown law firm. 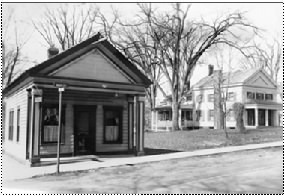 He was admitted to the bar in 1853 and soon located his law office in Warrensburgh on the corner of Stewart Farrar Avenue and Main Street, the current location of Stewart's Shop. He had a large clientele and was politically active, serving as Town Supervisor 1861/1862, again in 1864/1865 and finally from 1872-1877. He served as Deputy Collector of Internal Revenue for several years and filled a vacancy as the District Attorney. His estate encompassed an area stretching from Main Street to Milton Avenue, plus property in the vicinity of Ridge Street and Burdick Avenue. He married Mary Elizabeth Burdick, for whom Burdick Avenue was named, and they had ten children, of which all but three survived past childhood: Charles; Frank; Fred; Harry; Robert; Alice and Maude Cunningham. Charles became a doctor who also served the community of Warrensburg. Duncan Griffing, the son of William and Jane McEwen Griffing, was born in 1818 in Warrensburgh. He served as Town Supervisor in 1863 and assemblyman from his district to the state legislature in 1871. The first meeting held in Warrensburgh to raise funds for fitting out volunteers from the town for the Civil War was held at his house. He married Marie Stackhouse and they had five children:- Louisa F., Orville, Alice K., Charles H. and Edgar T.. Louisa married Dr. Daniel B. Howard, of Warrensburgh, in 1872. Duncan Griffing died in 1894. William D. Aldrich was born in Thurman on January 15, 1851. His parents were Daniel and Catherine Aldrich. He received his early education at the Warrensburgh Academy and his medical education at Dartmouth College, graduating on November 1, 1871. He began his practice in Stony Creek and joined the Warren County Medical Society in 1872. The following year he married Clara Cudney. During the years 1874-75 he served as supervisor of Stony Creek. In 1877 he moved to Warrensburgh where he continued his practice until his death in 1897, at age 46. In 1878 he served as president of the Warren County Medical Society. He also served as Warrensburgh supervisor from 1886-1893. He was a member of the Free and Accepted Masons, Knights Templar and Kunjamuck Club. Lewis C. Aldrich was born in Thurman on May 13, 1852, the son of Daniel and Catherine Dow Aldrich. After graduating from Warrensburgh Academy he studied law for three years in the office of Thomas Crandall and was admitted to the bar in 1874. He established an office in War-rensburgh and became an expert in town and county law. Mr. Aldrich served as Town Supervisor from 1894-1897. In 1902 he formed a partnership with his nephew, Lewis E. Crandall, until his retirement in 1904. He never married. Dr. Alfred J. Pitcher was born in Queensbury in 1851, and moved to Warrensburgh at the age of seven with his mother. At the age of twenty-four he apprenticed at Joel White’s blacksmith shop, where he learned the trade and also acquired a practical knowledge of veterinary medicine. After working for White, he organized the firm of Birney & Pitcher. In 1893 he entered the New York Veterinary College, grad-uating in 1897. He continued working as a black-smith, paying attention to scientific horse-shoeing. He later closed the shop to devote his entire time to veterinary medicine. 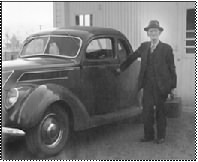 He traveled throughout War-ren County and surrounding counties at any hour of the day or night. In 1877 he married Lydia J. Lloyd of Warrensburgh. They had two daughters, Bertha and Ada. He became a member of the Warrens-burgh Lodge 435 Masons in June of 1889. He continued his practice until 1942 and died the following year at the age of 92. Girtin M. Swan (b. 1863), son of John P. and Mary Ann (Ferry) Swan, was Town Supervisor from 1922 to 1925. Born in Chestertown, he spent most of his life in Warrensburg, conducting a meat market here for twenty years. Serving first as Justice of the Peace, he was appointed supervisor to fill the unexpired term of Milton N. Eldridge. He was then elected for 2 successive terms. With his wife, Clara A. Maxim, they had two sons, Claude B. and Harold B., and three daughters, Olive, Grace and Ethel May. Girtin Swan died in 1936 at age 73. Frank W. Smith, businessman and three-term Democratic town supervisor from 1925 until his death in 1931, was highly re-garded by his fellow towns-people. As super-visor, his accomp-lishments include the widening of Main Street and the installation of street lamps. 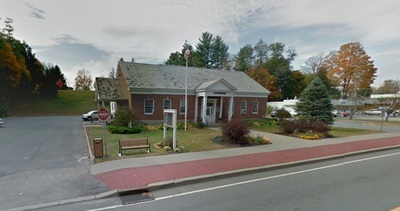 The son of Thomas J. Smith, he became partner in his family's general store and worked as bookkeeper in the family-owned gristmill and grain store on the Schroon River. Within five years, he was a partner and soon became its director. Eventually he purchased the interests of all his siblings and became sole owner of this enterprise. He was an admired leader of the town when his premature death in a tragic house fire in 1931 threw the town into shock. His funeral cortege was among the largest seen. New York Governor, Franklin D. Roosevelt, and Mrs. Roosevelt sent a telegram of condolence to the bereaved family. Mourners came from all over New York State to pay their respects. He was survived by his wife, Bertha, his daughter, Hilda and their dog, Bubbles. 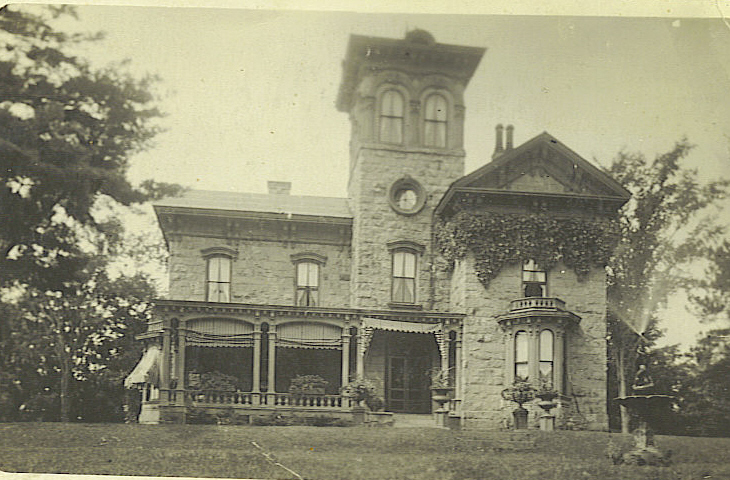 Their home, destroyed by the fire, was the former Hart Joseph house. Wyman Delbert Pasco, born December 30, 1890 in Warrensburg, was the son of Delbert E. and Sarah (Magee) Pasco. He graduated from Warrensburg High School in 1910 and taught school at Stony Creek the following year. He graduated from Al-bany Business Col-lege in 1912 and entered the hard-ware, grain and automobile business with his father and brother Walter. Their association with A.C. Emerson Company resulted in his becoming president of that firm until his death in 1959. He married Leneta Mills in 1912. They had two sons, Robert E. and Ralph Edward, and three daughters, Clara, Helen and Mary. Wyman Pasco entered politics in 1917 when he was elected assessor. In 1921 he was elected justice of the peace, serving until he was appointed supervisor following the death of Frank W. Smith in June, 1931. He held that office until 1944 and died in 1959. Lee R. Orton was born in 1894, the son of William Clark Orton and Ella Wheeler Orton. He worked for Berry Wood-ward in the undertaking bus-iness before partnering with Cassius McClos-key. They purch-ased their late employer's fun-eral home and renamed it Orton and McCloskey Funeral Home. Orton played for the Maplewoods baseball team in the early 20th century and had a brief career in professional base-ball. 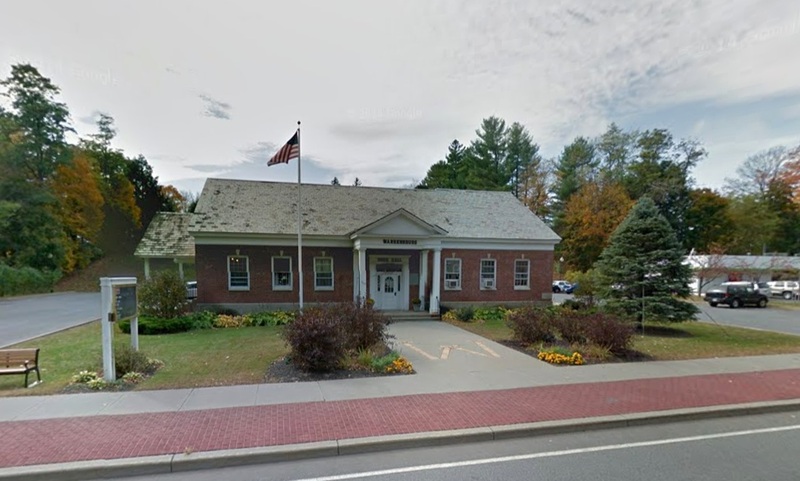 He served as Town Clerk from 1928 to 1944, when he was elected Town Supervisor. He remained in that position until 1964. In 1958 he was named Chairman of the Warren County Board of Supervisors, serving in that post through 1961. Married to Sara Kilday of Madison, Pennsylvania, they had a son William Clark and a daughter Saralee. Lee Orton died in 1966. Orton Drive, through the subdivision of the former Crooning Pines property, was named in his honor. Born in 1909, Charles Hastings was the son of William Hastings and Jennie Maude Cilley. 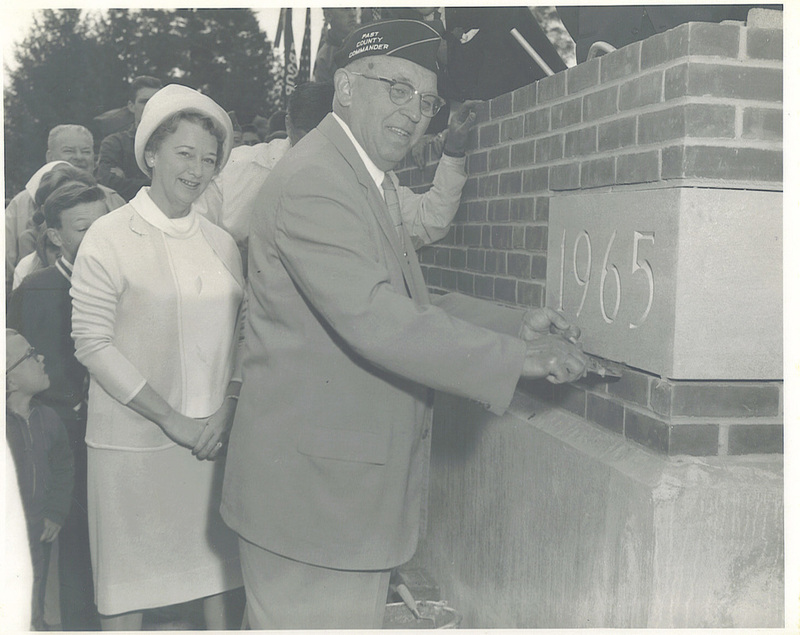 Early in his career he served as Warrensburg Water Superintendent for 30 years. In 1962, he was elected Town Supervisor and continued in that position for 20 years, until 1982. He was instrumental in developing the Tri-County Nursing Home in North Creek, the Warren County Residential Hall in Warrensburg, and helped in the establishment of the Hudson Headwaters Health Network. He was a long- time member of the Warrensburg School Board, Fire Company, Kiwanis Club, Independent Order of Odd Fellows and Lodge No. 425 of Free and Accepted Masons. He was married to Madeline Olds and they had five children, Charles, Marilyn, Norma, Karen and Patricia. He died in 1993 at the age of 84. Jerold Quintal, the son of Edith and Oscar Quintal, was born on March 27, 1946. A 1964 graduate of Warrensburg Central School, Jerry excelled in basketball, carrying that talent to Albany Business College from which he graduated in 1967. The following year he married Kathleen Hurlburt of Argyle, a 1966 graduate of ABC. They had three children, Janelle, Jerold (Joq) and Joel. Jerry's business education suited him well as he entered the business started by his father and mother more than twenty years prior, Oscar's Smoke House. Active in community service organizations, he was a member of the Fire Company and the Emergency Squad. 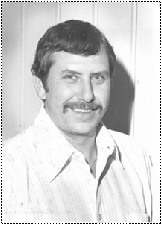 In 1973 Jerry helped form the Warrensburg Little League with assistance from Bob Tennant and Harold McKinney. He served on the Warrensburg Economic Development Council and was elected Town Councilman. The Warrensbug Chamber of Commerce honored Jerry with Citizen of the Year in 1996. In 1997 he was elected to the position of Town Supervisor, which he held from 1998 through 2005. In semi-retirement, Jerry continues to oversee the operations of Oscar's, now being run by sons Joq and Joel. Town Supervisor. A strong advocate of both fiscal responsibility and open government, he was returned to office in 2009 and 2013. As Supervisor, he also serves on the Warren County Board of Supervisors, where he held the title of Budget Officer for five years. In January, 2013 he was unanimously elected to the post of Chairman of the Warren County Board of Supervisors. Married to Kathleen Martin Geraghty, he has a son, Kevin R. Geraghty, a daughter Melissa A. Geraghty, and step daughters Christine Song and Gina King.